Jessica Bashelor led an indoor cycling class at the Handle Bar, a workout studio she opened this summer. 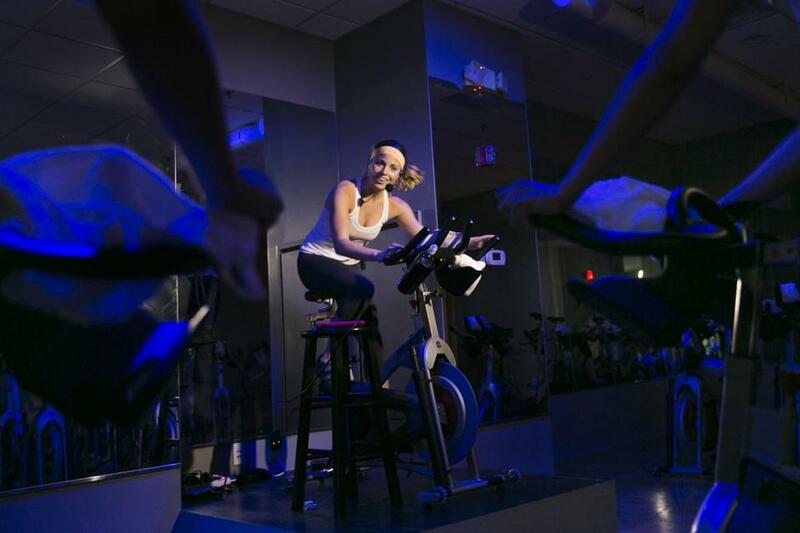 When first-time entrepreneur Jessica Bashelor, 25, decided to open her own indoor cycling studio in South Boston this summer, her strategy included a social media plan to create buzz and a “gym culture” that attracted millennials. “Opening a gym isn’t just about laying out different pieces of equipment, but also creating a space that helps change people’s lives by encouraging community and fitness,” said Bashelor, whose studio, The Handle Bar, offers a high-intensity spin class. You graduated three years ago from Northeastern University with a degree in biology. How did you realize your true passion was for fitness? I grew up swimming competitively. While attending college at Northeastern, I tried yoga, kick boxing, ab classes, and Pilates, but I ended up loving spinning the most. I opened The Handle Bar to offer classes with the intensity I crave. What’s behind this debate about licensed Spinning facilities versus unlicensed? Spinning is the most well-known way to define indoor cycling, but the term is trademarked by Mad Dog Athletics. To be an official Spinning studio, you need to use Spinning bike brands and follow their workout regimen. I wanted to use Schwinn bikes and handweights, which aren’t allowed in the Mad Dog manual. So we are known as an indoor cycling studio. Are you handy with a bike wrench? Part of my role is understanding everything about bikes that I possibly can. How do you use social media to promote the gym? Whether it’s Retox Friday on Facebook (“We spin, we sweat, we dry-off, we drink!”) or recognizing the accomplishments of a dedicated member, social media is hugely important for me. I find it most beneficial in the way it allows us to create a personality for the studio. Gym management software is making the task of administering a gym easier. How is it helping you? I cannot imagine running a studio without an online booking feature. Having riders paid before they arrive makes check-in a breeze. I can spend those few minutes before class getting to know my clientele rather than processing transactions. What’s in your gym bag today? Hair straightener; a few blank W-4 forms for new hires; my iPad with industrial rubber case; $8 in quarters (parking meters and laundry machines require a lot from me); four headbands; two pairs of Lululemon crops; one Handle Bar sweatshirt; iPhone ear buds; and Sephora brand red lipstick. What are your favorite phases to motivate riders?